Radio Harrow marked the third Local Radio Day with a special day of shows ahead of the Bank Holiday Weekend. 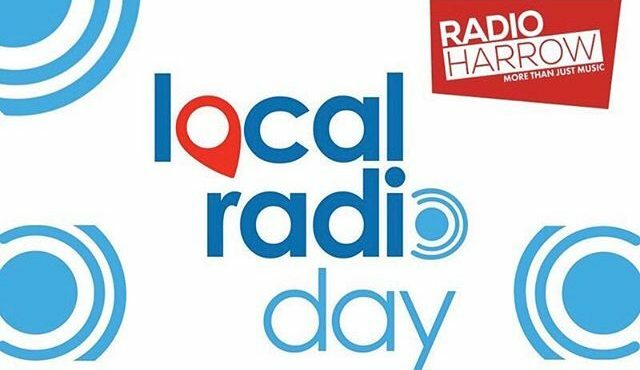 With programming from the studios, and out in the community, the station joined stations up and down the country in celebrating Proper Local Radio, on a day which is now a firm fixture in the Radio Harrow calendar. David Reece and Wendy Sherer served up breakfast, the radio show variant, from 8am from studios in Northwick Park, with an exclusive interview with the new Mayor of Harrow, Kareema Kairul, who began her term in office the previous day. During the morning, presenters Nick Edwards, and Shrey Puranik went on a ‘bus tour’ in the locality, checking in with the studio team at regular intervals. At midday, Brian Rose celebrated Heroes from Harrow in a special hour long show. Following Walk This Way, Charles Biggie was on air with Harrow Goes Pop! Nick and Shrey, fresh from their adventures in Harrow, then took over the reigns at drive, with a special interview with the Heath Robinson Museum ahead of a new exhibition opening at the Museum. At 7pm, Anna Trevers broadcast a special edition of The Basement Tapes, with the show being made especially for Local Radio Day! Keep checking this page for more highlights over the coming days! Led and run entirely by volunteers, Radio Harrow are always on the lookout for new volunteers. Whether the broadcasting side of a radio station appeals to you, or if you want to contribute to the patient befriending services that the charity provides, you can find out more by clicking on the menu links.